Split mesh uppers and an ISOTEX membrane make the Burrell hiking boots lightweight and protective. The mid-height construction and the aggressive Vibram® Girvola sole offers support and traction on challenging climbs. Feet are kept dry inside and out with a seam-sealed waterproof/breathable ISOTEX membrane and HYDROPEL upper treatment. 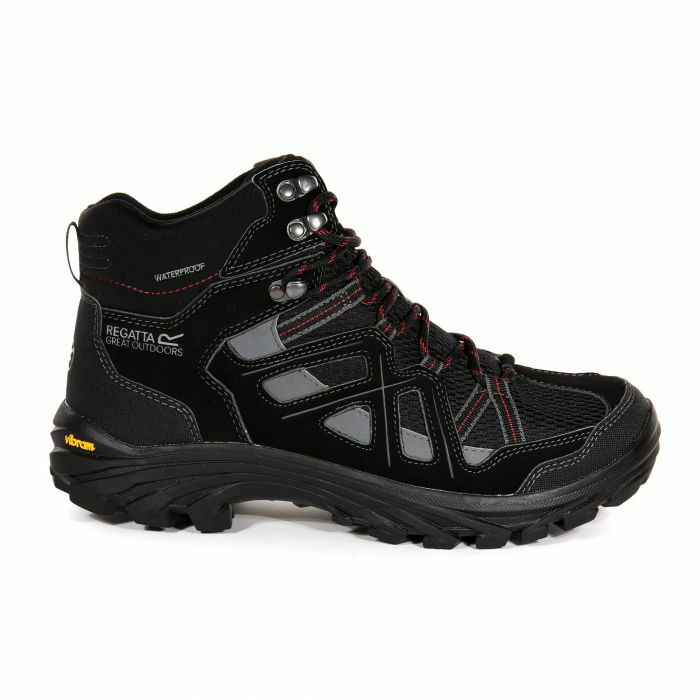 Rubberised toe and heel bumpers and the EVA comfort footbed deliver protective comfort on all day hikes. Weighs 545 grams.